Writing is hard; we imagine an idea from an inspiration (internal or external) and try to express it so others understand. From our brain and imagination out through our fingers and onto paper or web, our words create another idea for someone else based on how well we expressed ourselves. Transferring our ideas, opinions, and stories into a form others comprehend requires the craft of writing. We need ideas, organization, word choice, voice, sentence fluency, and conventions. We prewrite, draft, revise, edit, and publish. To learn these, we must identify and use them. Our Writing Notebooks will guide us in learning, discussing, applying, and sharing our craft of writing. Use your notes, handouts, and the reference book to create an acrostic poem about a term your teacher assigns. Have you ever been out driving with your family and seen cars with bumper stickers? Bumper stickers are short sayings that are colorful, funny, and make an interesting point. On the back of your bumper sticker write an explanation of what your bumper sticker means and why you wrote it. Create a web of ideas that explain something from the right-side. Write the idea in the center, add explanations, definitions, examples, etc. with links and an explanation. See example here. Review ideas from several lessons. Choose four ideas, explain three of those ideas, provide examples for two of the ideas, ask one question you still have or that could be on a test. Directions here. Top/Left Side: review concepts from previous lessons or think about new concepts from the new lesson. 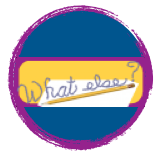 Write or draw for two or three minutes in response to a teacher prompt that will either review what we have covered or preview what is ahead. You may be called on to share your response with the class. Bottom/Left Side: respond to information learned in class as a summarizer of the lesson. Show ideas in ways that make sense to you. Use strategies such as graphic organizers modeled in class to help you with this process. Explore your feelings or reflect on how a topic touches your own life. Write conclusions or personal positions. Be concise (short but to the point) about on ideas you have been grappling with throughout a lesson. Show an idea you now understand with a well-supported conclusion. Make connections between "real life" and what you are learning. * Find newspaper clippings and cartoons to paste near the material to which they connect. Write a sentence or two commenting on the connection. * Draw or illustration lessons. Add to class notes wherever and however you want to show your understanding. * Respond personally in writing if you don't want to share in class. Write one or two sentences or an entire page. The purpose of the interactive notebook is to enable you to be a creative, independent and reflective thinker and writer throughout the year. Interactive notebooks will be used for class notes as well as for other activities where you will be asked to express your own ideas and process and or apply the information and skills learned in this class about and with your writing. How should my notebook be organized? Your notebook will be organized into a Left Side and a Right Side. What goes on the right side of my notebook? Any activity assigned by your teacher for the notebook should be done on the right side of your notebook. Examples of assignments might be book notes, class notes, handouts, PowerPoint notes, a primary source document, chart, diagram, examples, models, or reading. What goes on the left side of my notebook? The left side of your notebook will be used for a variety of different activities. Left side activities will ask you to demonstrate your understanding of new ideas. Left side activities will be assigned at first, and later chosen by you. Then, you may select whatever activity you like, but you must choose a variety of activities. You might, for example, create a comic strip to explain sentences with prepositional phrases from the notes you took on the right side. The left side also includes writing samples (taped or copied) in which you show you have applied the lesson (similes, strong verb sentences, paragraphs, essays, stories, poems, etc.). What are examples of choice left side work (we will learn these throughout the year)? All of these activities for the left side demonstrate understanding of each right side lesson page. Every right side assignment, unless otherwise specified, must have an accompanying left side activity. Each time I collect your notebooks, which will be about every four weeks, you must have at least one entry in your notebook on the left-hand side that is completely initiated by you. It cannot be a topic I asked you to write about. It cannot be a graphic organizer I asked you to use. It must be completely generated by you. So what should it be? Well, first, it needs to be related to what we are studying at the time. It must demonstrate some critical thinking. What’s that? Well, I need to see some evidence of your thinking about ideas. It can be putting ideas together or picking them apart. It can be evaluating these ideas. It can also be about how these ideas apply to the real world or in your own writing. . It might be your own story, poem, or essay with a reflection on what you included and learned from the lessons. You might find a newspaper or magazine article that relates to our study. If so, you can tape it on the left and write a summary and personal response that shows how it connects. Like I said, you need at least one each time you submit your notebooks. It might be something you want to complete when you are especially engaged in what you’re learning, or it might be something you want to do right before the notebook check to reflect in a summarizing kind of way. Tape it at the end of the notebook section you’re currently working in, and it should be dated and numbered and appear on the table of contents like everything else. You will be asked to complete and include your RICO reflection on your work. (See note at end). How will my notebook be graded? Notebooks will be checked unannounced at random and on review days. You will be graded based on the Interactive Notebook Rubric and the RICO reflection requirements. Your table of contents should be updated on a daily basis. If you do not have your notebook on the day of an unannounced check you will receive a zero (0). If you do not have your notebook on review day/scheduled notebook check you may turn it in late for partial credit (25% everyday it is late). How long should it take to work on my notebook? Normally class time is given to work on right and left side assignments. The expectation is that you will complete the work as assigned so I may check your progress. Know what you need to do and complete it in class when it is assigned. Notebooks stay in class; if you complete your work at home, tape it in your notebook and record it in your Table of Contents when you return. What happens if I am absent? If you are absent, it is your responsibility to obtain notebook assignments from your study buddy and to check the make-up folder for requirements. Please refer to the student handbook for the policies regarding absences. Share the information of this handout with a parent, then sign on the line below. Then tape it after the title page in your notebook.